Since its creation, the Bezà Mahafaly conservation program has always supported the development of surrounding local communities. 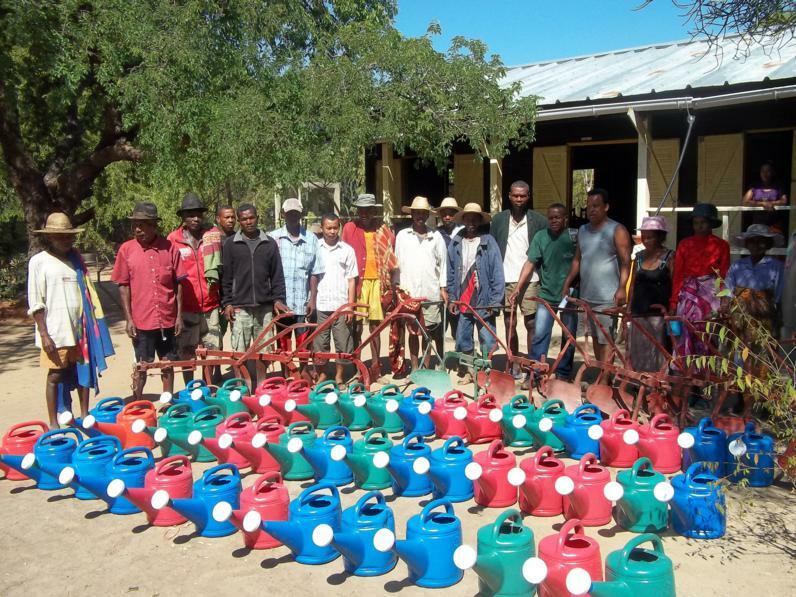 On April 20th 2013, to this end, Madagascar National Parks and ESSA provided agricultural equipment, including 12 plows and 40 watering cans to two local associations in Mahazoarivo and Analafaly. This equipment will be used to promote the production of onion, a revenue-generating crop. The donation of the farming equipment is part of greater efforts to motivate local communities to develop sustainable activities and to further engage the community in forest conservation.